1. As we approach the final weeks of a very fluid and competitive rankings battle; make sure all your team's games are posted accurately at MaxPreps. We will suspend any team from rankings if their reports include wrong scoring data or wrong opponent. The reason is obvious, it's not whether you won, but who you played. We are currently holding several teams in suspension so as not to harm the rankings of teams who do things right. For example, one team recently reported beating a top national contender when they actually played a different team from a town of the same name. This would have illegitimately boosted the homeschool teams rank higher than the current national homeschool leader. We do our best to locate a valid email address and let the leadership know when we see a problem, but if you see your team is missing from our rankings, send us an email at info@nhfcs.org. We will work with you and enthusiastically reinstate your team as quickly as the rankings are reflecting accurate data. 2. Teams who are contending for the national championship rankings will see an inquiry to confirm that their roster has a majority comprised of home-educated athletes. There are many useful tools at your side, for presenting your athletes to college recruiters. In past years it was more difficult to get the attention of colleges. More often than not, it took a major financial investment just to make a substantive connection with a handful of targeted colleges. Thanks to the digital age and internet communications, You can easily package an athlete without the aide of paid services. Your local & state media doesn't try to ignore you. They really do want to cover every team, but their time and resources are very limited. The more groundwork you provide them, the better your coverage will be. Media outlets pay attention to how many fans are in the stands. They know that big schools must be covered well, because advertisers what to reach the biggest audience. Get a list of all statewide media who will report your scores. Then have a volunteer text or call in halftime and final scores promptly. This will draw the attention of a larger audience, including recruiters. 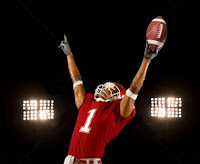 Contact sportswriters with human interest stories about your team or players. You may get a feature story done, as a result. Local & state media can be a big help in building your homeschool sports program. But it will definitely help your top-performing athletes if you can get your athletes named to an all-state team. But you have to make a good case... and that requires reporting complete stats to media databases. 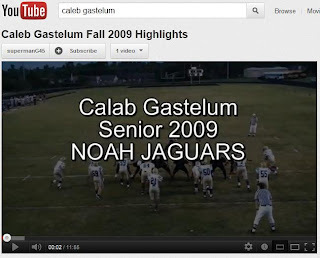 Most varsity teams keep game films in digital format. Those films should be duplicated for all juniors and seniors. The footage can easily be clipped into highlights and compiled on youtube. The advanced editing features will allow you to post captions onscreen and draw the eye to your featured athlete. Rather than mailing DVDs to every college, simply include the youtube link in an email, along with player stats and background info. Your team is probably already compiling scores and stats. 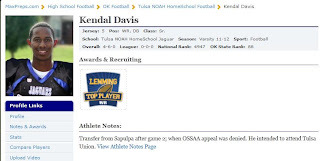 Reporting those stats to MaxPreps and other media doesn't require a lot of time or expertise. Not only does the team benefit; Every player builds a personal stat record. Adding a player photo and a few other details (weight, height, etc.) will result in a concise journal that college coaches will rely on. Since the numbers come from actual game records, recruiters know that the numbers are reliable and comparable. You can also post news articles and upload player videos to MaxPreps, to create a complete package for every college to see. Another benefit of online records is that offers can come from unexpected sources. Some colleges have specific needs that your athletes will provide. You won't know what didn't happen because you failed to do your part. The National Homeschool Football Championship Commission took steps this week, to clear the database of any teams who haven't reported a schedule or results. The integrity of the rankings is of utmost priority to the national community of dedicated homeschool athletes and coaches. We want to reward responsible and dedicated leadership by setting a standard of expectations. While it is completely appropriate to be as inclusive as possible during the early part of the season, it is even more important in the latter part of the season, to make sure that thorough and accurate information is used for determining seeding, invitations, and ultimately... a national champion. Additionally, any team who posts erroneous results, whether it be though confusion, carelessness, or deceit; will be removed from our database until the errors are corrected. We made one such action this week and did our best to notify the team who posted wrong results. The error was corrected within minutes and the team is back "in the hunt" in our current rankings. Statisticians should check their MaxPreps season schedule and results on a quick weekly habit. Make sure someone else doesn't make a false claim to have played against you. We have to remove your team from the database while the false info is impacting your weekly rating. Mondays are the weekly deadline for making all corrections prior to the Tuesday update. It would also be advantageous to make sure your team's opponents are keeping their MaxPreps stats up to date. Cheer on your past opponents! It's in your best interest that they build the highest rating they can. Your team's Strength Of Schedule is a very important variable. The latter half of the 2012 season is upon us. Division 2 Homeschool football has some very high achievers this year. Texas continues to deliver some of the greatest football, but California and Alabama have produced some top teams. We can't overstate just how huge a season Stephenville FAITH is having again this year. They are currently in the top 50 of all small-roster teams in America - PUBLIC, PRIVATE, OR HOMESCHOOL! Several teams are just starting a football program, this year. 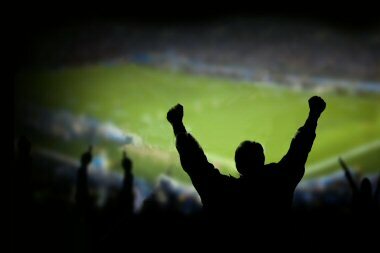 We all salute them and congratulate the fortitude that it takes to get a team on the field. Get ready! 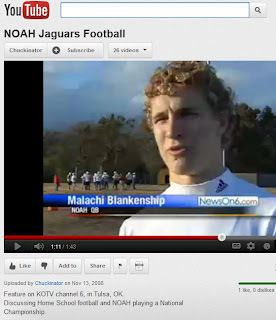 Some really exciting things are happening all over the world of homeschool football. And you're a part of it. Several postseason competitions are getting ready for Homeschool teams. Over the next several weeks there are several dozen homeschool teams giving their full effort to take home trophies and demonstrate a superior team effort. Many of these competitions have been established for years, but some organizations are setting up first-time events and planning road trips for bowl games between regional and national contenders. Some of these postseason events are limited to member teams within a conference or state. Still others are still taking applications for open tournaments. Please look over the chart, below; for an opportunity that fits your team.... or just set up a bowl game on your own. Some teams may opt for a home-and-home bowl configuration to end a successful season. This is a simple process to set up, provided that it's done early enough for good planning. Let us know if you find another option, or if you have set up another bowl. The NHFCS will continue to run the rankings stats thru December 1st. All games will have an impact on the final rankings, if they are reported to MaxPreps in a timely manner. The athletes ARE your ultimate trophy. Developing young people.... is what this is all about. Sending an athlete on to a bigger stage; is a greater trophy than anything made to sit in a glass case. Please encourage your team's leadership to complete all the stats and get them into MaxPreps and other prominent state & national media outlets. Description: Glory For Christ Conference. Involves several 11-man teams from 3 states. This weekend's Homeschool football will see a few teams taking on some mighty foes. Tulsa NOAH, Carolina Panthers, and Q-Foundation will have their work cut out, but even a strong performance will boost their rank even if they don't get the "W". Most of the top-ranked Div. 1 teams will play lower-ranked teams. The computer formula of CBS Sports (known as the Freeman Scoring) rewards a tough schedule. Q-Foundation will take on Defending Carolina State Champion, Murphy. Carolina Pride will face Charlotte Baptist (currently ranked #3 in NCISAA-I). And Tulsa NOAH is renown for taking on the tough teams. Last year they had the toughest schedule in all of Okla. prep football. They take on Verdigris, a team in he top 8% of all prep teams in the nation. Be sure to check out the list of Homeschool Post-season events and let us all know if your team is planning a post-season event.